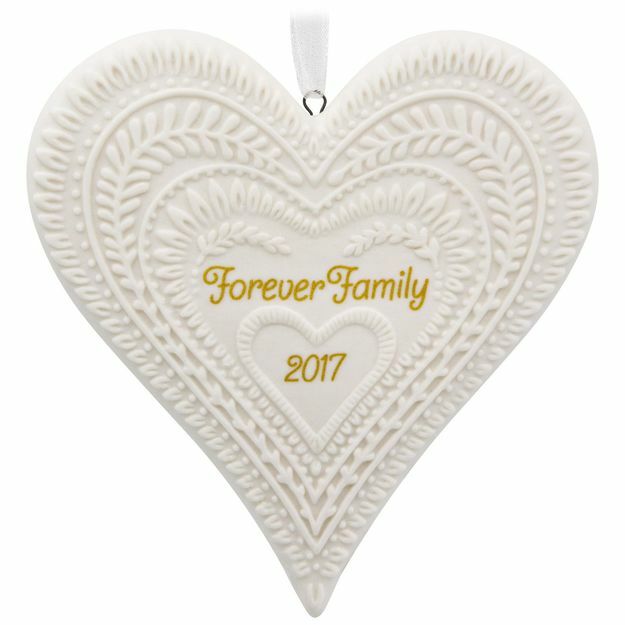 Celebrate a new beginning for your family with this pure white porcelain Christmas ornament. Each year you hang it on your tree, you'll be reminded how your hearts were forever changed for the better that year. Perfect for adoptive families or any family. 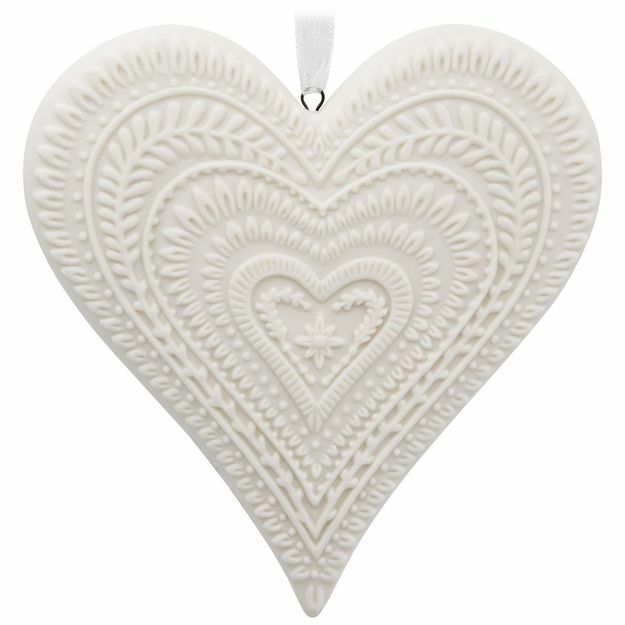 The white, porcelain heart is very detailed and the sentiment is perfect. Family is forever!